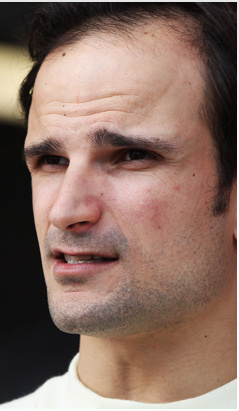 Having been given short shrift at short notice by both his previous employers - Scuderia Toro Rosso and Force India - Liuzzi must view 2011 as his final opportunity to prove himself in Formula 1. He has pace and is respected as a development driver, but too often in 2010 he failed to deliver the goods in qualifying and left himself with too much work during the race. The F111 will not be the best showcase for his talents, but if Liuzzi can exert supremacy over his team-mate and get in amongst the better-budgeted midfielders, his position will be relatively secure.